Hello, my name is Mr Sam. How may I help you? The first appointment will probably last between 60 to 90 minutes as we will need to ask you some questions about your dog and take some initial assessments. Subsequent therapy sessions will probably last between 45 to 60 minutes depending on how your dog is progressing. But all treatments will be arranged to suit you and your dog. Consultation and treatments can either take place in the AchyPaw treatment room in Saltdean or in the comfort of your own home. The cost is £40 per session, although a small travel fee may have to be added for travel outside the local area but this would be arranged before the first session. We offer a special service for multi-dog households where two therapists will attend together. The rates for this service are economical. 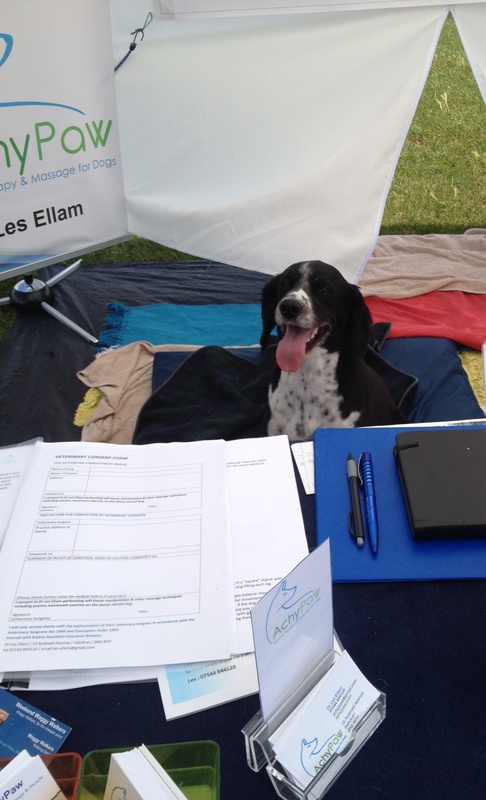 We do not make you sign up for a specific course or number of sessions as each dog has different needs. Most pet insurance companies cover complementary therapy including massage and myotherapy so it is advisable to check with them. We are members of the International Association of Animal Therapists which many insurance companies require. We always work within the confines of the law and will never work on a dog without gaining prior veterinary consent. We abide by the Veterinary Surgeons Act 1966 and Exemption Order 2015. It is the responsibility of the your own veterinary surgeon to diagnose, but we will always work with them and keep them informed of the chosen course of treatment. Before we can work on your dog, you will need to ask your vet to sign an agreement form for myotherapy which can be obtained from clicking this link. There is typically no charge for completion of this form from your vet.